Wykeham House provides excellent 24-hour nursing and residential care, alongside expert care for people living with dementia in our bespoke Memory Lane Community. Alongside this, we offer respite care and short breaks, which can now be pre-booked up to a year in advance. Our highly skilled and first-class facilities ensure that Wykeham House in a truly exceptional place to live. Our dedication can be seen across all aspects of life within our home, from cooking and hospitality to the variety of activities residents can enjoy. We welcome families to join us for lunch and also offer a private dining service for special occasions. Wykeham House was officially opened by Sir Richard Branson in 1998 and is ideally located less than 5 minutes from Gatwick Airport, making it the ideal location for residents with families living abroad. It is also situated within walking distance of the town centre, bus stop and train station. We are confident you’ll find us ideally suited to meet your needs, both now and in the future. Please feel free to give us a call or drop in; we are here to support both you and your family. Staff at Wykeham House are celebrating after our home performed strongly in Your Care Rating 2017/18, a nationwide survey of care home residents, family members and friends. The results show that we were given an overall score of 902 out of 1,000 by residents, and 883 by family and friends. You can read the report here. Hi, my name is Petruta and I am the General Manager here at Wykeham House. Welcome to our website! I was born in Poland and have been in the UK since 1992 I am married with two children and started my career in catering in the army, working in restaurants in London and then with Barchester Healthcare in 2012 as Head Chef. I strive to always meet residents' expectations and am always open to new suggestions. Events are my speciality, and seeing everyone enjoy my food gives me great satisfaction. Currently, we are running the ‘Done Dine Alone’ initiative and welcome new guests. Some nurses at Wykeham House have been here for over fifteen years. 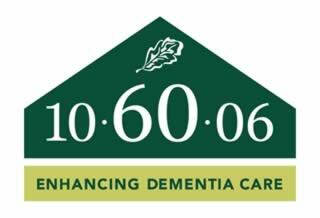 They are professional, knowledgeable and experienced in many aspects or general nursing care and supporting people living with dementia. Reviews and updates for families are crucial and the team are here to answer questions and support residents and their loved ones. Our catering team prepares and delivers tasty and nutritious dishes to those we support. My name is Richard, but people call me Ricardo, Taffy or Welshman, among other named! I have worked at Wykeham House for over 10 years. I was employed as the Head Chef for the first 5 years, however, since then, l have worked as the Head of Maintenance. I love my role, as no two days are the same! One minute l am plumber, then next an electrician, then a painter & decorator – just to name a few of the things l do! The residents are foremost in my thinking and I believe our elders should always be treated with dignity and politeness and, above all, respect. I also enjoy the banter you get with residents and it is nice to hear some of their life stories. As a member of the Barchester family, l hope to be here for many more years to come, as this is one of the most satisfying jobs l have ever had. I love it! I have done a Bachelor's degree in Industrial Management Engineering in Materials and Testing. I joined Wykeham House as a kitchen porter in 2003 and was promoted to Head of Housekeeping in 2005. I am responsible for the overall operation of the Housekeeping Department and upholding the highest standard of Cleanliness and Safety. While I am going round the home carrying my chores, I always find time to talk to the residents and have a laugh with them. I am good at making them smile. Our well established team have been together for over five years. We strive to offer the best service and take pride in the fact that we very rarely have missing items of clothing! We understand that laundry issues can sometimes be a problem in care homes and we work closely with residents and loved ones to ensure that if there is anything specific regarding clothing or advice needed, we are here to help. Wykeham House has a dedicated team of Care Assistants who are integral to all the care we provide, and understand the importance of team work. They are passionate about the work they do and caring for residents is their number one priority.